– Pakistan’s most powerful, extensive and reliable classified pages. AT NO EXTRA COST. If you place an ad in DAWN newspaper, it will automatically be displayed on our website at no additional cost. Due to exposure in both our print and web editions, your listing now has the potential to reach more than 600,000 people who read DAWN and visit our website every week. Since DAWN’s inception in 1947, the newspaper has attracted the largest volume of classified ads when compared to any other English language newspaper in Pakistan. DAWN’s classifieds are now published in three sections in the DAWN National Weekend Advertiser on Sundays (Real Estate, Careers and Adbuzzzz), as well as on a separate page in the weekday editions. Since then, our classified sections have grown from strength to strength, and are now available in 3 sections published on Sunday: Real Estate, Careers and Adbuzzzz, as well as a separate page on weekdays. 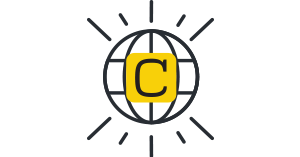 Despite the introduction of several web-based classified platforms, as well as other English-language classified sections, DAWN’s classified pages continue to thrive, and remain the market leader due to their effectiveness. 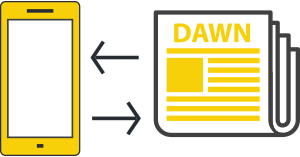 Despite the introduction of several web-based classified platforms, as well as other English-language newspaper classified sections, DAWN’s classified pages remain the market leader due to their effectiveness. Consequently, more than 100,000 classifieds are published in DAWN every year; each one is verified and updated to ensure that it is credible and current in order to ensure its effectiveness. 1. DOUBLE THE EXPOSURE AT NO EXTRA COST. If you place an ad in DAWN newspaper, it will automatically be displayed on our website at no additional cost. 2. UNMATCHED REACH. As a result of being visible in both our print and web editions, your listing now has the potential to reach more than 600,000 people who read DAWN and visit our website every week. To place a classified ad, book now and seal the deal!Post Ad!